Highlight God's message of hope with this United Church of Christ flag from Tuff Flags! 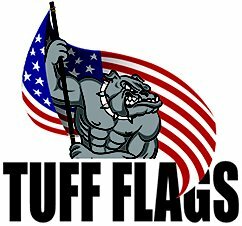 Our 100% made in USA flags are made to accurate design and precision and is made of durable 200 Denier nylon fabric. 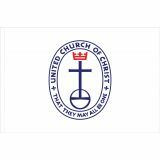 The United Church of Christ is a mainline Protestant Christian denomination with nearly one million members. Our single face reverse outdoor United Church of Christ Flags and gold fringed indoor flags are offered in different sizes including 3’x5’, 4’x6’ and make perfect options to show your religious pride and inclination. Shop right away and get the advantage of the best prices, quick shipping and much more! 100% customer satisfaction guaranteed! Our finely crafted indoor United Church of Christ Flags with golden fringe and outdoor flags make perfect choices forhomes and churches. The flags feature a white background with a blue insignia at the middle. Each flag is made using UV resistant Dupont inks which can withstand the effects of sun and chemical deterioration. All flags are finished with heavy-duty, no-shrink white header and are reinforced with lock stitching to make them more resistant to wind. 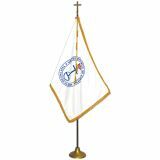 These commercial grade flags can be used during religious congregations, prayer meetings and church events. 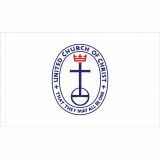 Browse our selection of United Church of Christ Flags at Tuff Flags and choose a model that suits your needs. 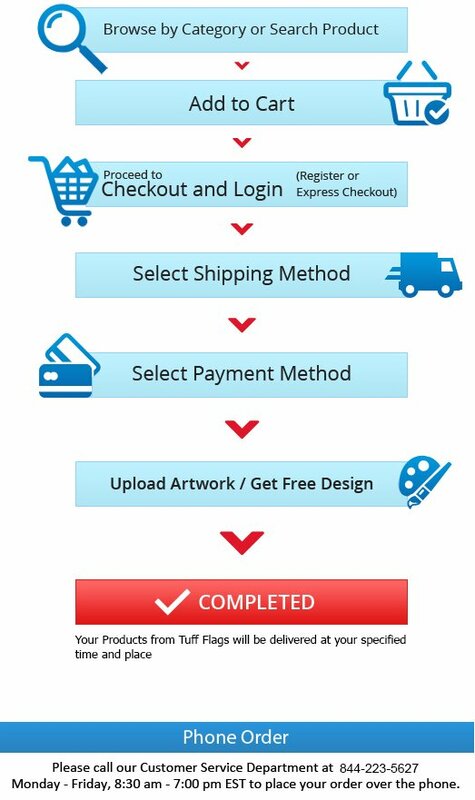 If you cannot figure out which flag could be the best choice for you, call us at our toll free number (888) 287-3524 or email at customercare@tuffflags.com and leave the rest to us.